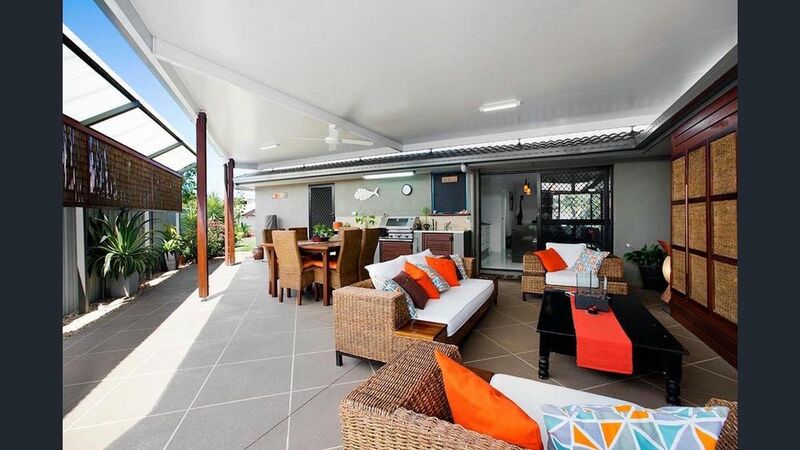 Luxury 3 Bedroom Home, 30 meters to Mooloolah River and 1.3km to Mooloolaba Main Beach. Enjoy cooking in the Outdoor Kitchen or beautifully designed Interior Kitchen. 3 x Double Bedrooms, 2 x Bathrooms including Spa Bath and all modern conveniences you would expect to receive in a luxury home. Off street, secure parking. Walk to the shops, restaurants and along the boardwalk to Kawana Island. Cycle or walk 1 km to Mooloolaba Main Beach and the many facilities that Mooloolaba has to offer, including Sea Life Sunshine Coast Aquarium. Travel by bus to visit Australia Zoo. Our home is Family friendly, has wifi, Satellite TV, an Outdoor Cooking Centre and Dining Area plus an outdoor media centre. Seafood, Thai, Indian and Alfresco Restaurants, Kawana Hotel, Parks, Mooloolah River, running and cycle paths, outdoor gym park facilities are all a short walk away.